I plan to activate on BV/NT-013 on the coming Saturday, but I noticed that there is an air navigation station nearby, should I worry about any RFI that I might cause? I will be operating on legal 20m band with 30 watts max. Any hams working in that sector that could tell you first hand? In VK, an amazing number of repeater/radio install maintenance staff are a) hams & b) SOTA activators who cannot resist chucking an FT-817 into their tool kit. By the way, we are always listening for your BV activations. No luck so far. John, VK4TJ. Thanks for trying to chase me. I think we will have better chance once I have my CW skill polished. but I noticed that there is an air navigation station nearby, should I worry about any RFI that I might cause? You could have the reverse problem, that their radar and other equipment may wipe out your HF & VHF receive capabilities. There’s an air navigation facility with a huge sort of disk or circular antenna close to the East of the summit of Mt. Erreniega EA2/NV-092. You should be able yo see it on the satellite view on SMP. Never had any interference from it, nor was I made aware of causing any interference to it. I agree with Ed, that interference to your equipment might be the main problem. 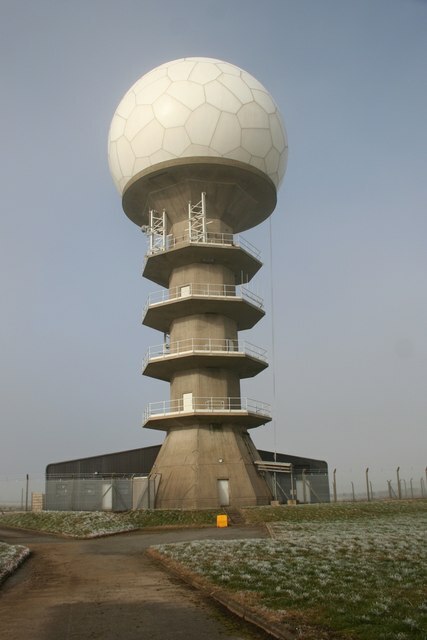 I have operated near radar stations without problems, but commercial broadcasters can be a nuisance. I cannot imagine that you could cause interfere to a commercial/military transmitter with your tiny signal. That looks like a VOR. This is my local summit G/TW-005. The radar plays havoc with the receiver on all HF bands. However you can get 3km away and still be in the activation zone as it is so flat. I operated near a VOR station once and didn’t have any problems. I’ve also set up on summits that have various FAA radars and such, and not had any issues. Had a gear fail up there once that affected my ability to receive, but it was definitely a fault in my rig. Otherwise, never had any RX problems, even operating in the parking area right next to the tower.